Blue Mountain Sunrise. Above Deer Park Campground at just over 6,000 ft. Looking northeat at Mt. Baker. 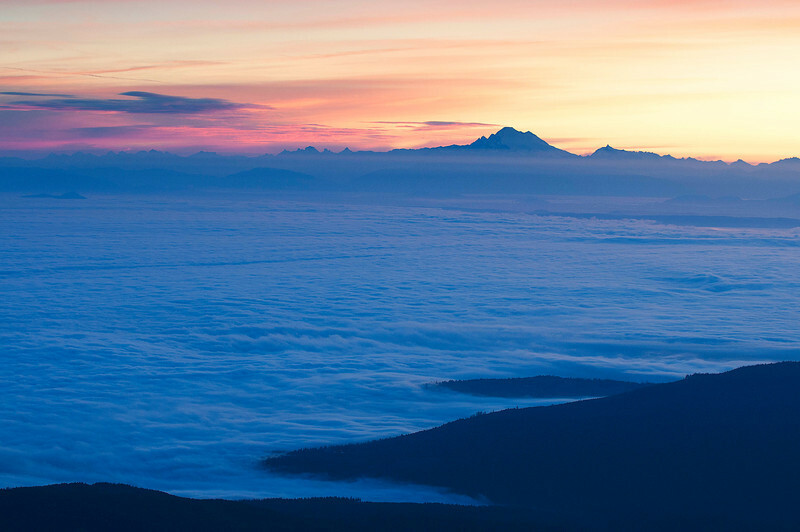 Strait of Juan De Fuca covered in fog.